This one is developing all over the world simultaneously – in the US, Canada, Australia, the UK, etc. (by David Haggith) As happened with the first housing market crash that began in 2007 but didn’t become widely recognized until mid-2008, the present housing crisis began exploding one story at a time last summer, and this blog was perhaps the first to state that summer’s change was the turning point from decades of ascent into a collapse in housing sales and prices. I said the same thing back in 2007, and people didn’t believe me then either. 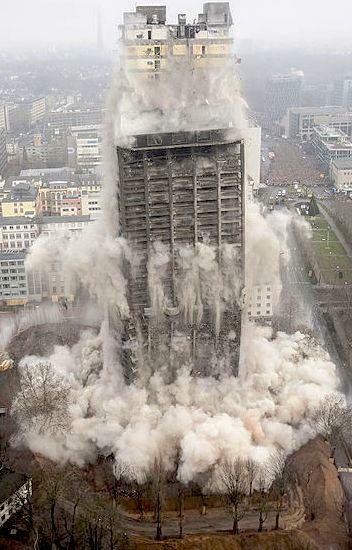 The Fed’s ill-conceived plan, however, was never sustainable prior to the last housing market crash and is not now. I’ve said throughout the Great Recession and ensuing years that, sooner or later, we’d get to the point where the Fed would have to raise rates, and I’ve said its quantitative tightening will certainly raise rates as much as it increases its stated interbank lending interest targets. I’ve also said that, by the time the Fed started raising rates, housing prices would be unaffordable without the Fed’s artificially lowered interest; therefore, the market would have to crash all over again because, all over again, people would find themselves underwater on their mortgages. And now, here we are. US banks have not started to go down, but they are feeling serious pressure as this article will point out, while eight months of statistics now prove housing is relentlessly falling with NO hint of letting up. 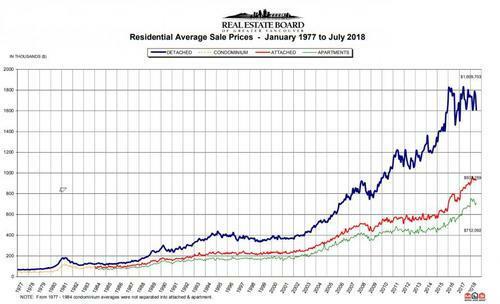 As I wrote in my first Premium Post, “2019 Economic Headwinds Look Like Storm of the Century,” Housing Market Crash 2.0 is one of the numerous forces that will be knocking the US economy down in 2019. The rest of the global economy is already down further than the US. Mortgage rates rose only a minuscule blip when the Fed started with a tiny rolloff (tightening) near the end of 2017, even as I had said the Fed’s unwind would not likely cause any serious damage to the economy until January 2018. Rates, however, immediately ramped up steeply when the Fed doubled its roll-off rate in January (which was when I said the balance sheet unwind would start to have serious market impacts). This has hit stocks, bonds, and housing the worst… so far. Since that proclamation, inventories in the region have soared due to a buildup from declining sales. 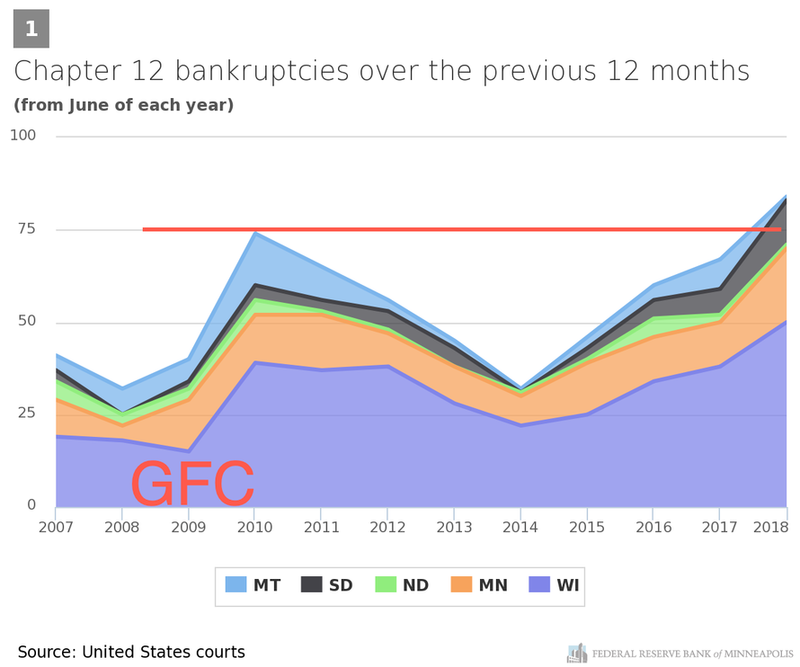 Lending limits have increased due to falling prices and less assurance on the part of banks that collateral will hold its value or that repossessions won’t be the next wave. King County where Seattle is located has led the decline to where the number of single-family homes on the market has doubled in just a year. Since my summer declaration, King County has recorded a bruising fall. In just half a year, the median price plunged from its peak of $726,000 last spring to $644,000 in November. 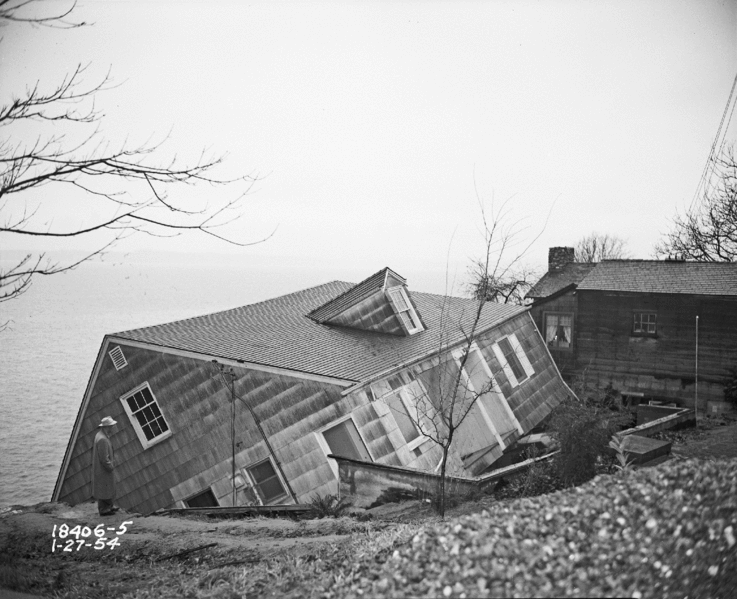 According to Mike Rosenberg, a Seattle Times real estate reporter, this was the fastest price drop anywhere in the nation (over 11% in half a year – a crushing reversal from years before when rises 10% in a full year were seen as evidence of a superheated market; so, doesn’t that make this flash-frozen fall?) The last drop that steep was back at the start of the Great Recession in 2008! Not a time for housing anyone wants to compare to. Most of us don’t care what banksters are paying (or getting) for a home near their Wall Street office, but the massive year-end plunge in NYC and its surrounds is further evidence that the fall in home prices is not only unabated but worsening. What started showing up at the top of the market in the hottest markets like Seattle last summer is now, as I said would be the case, trending down to lower sectors just as seen in the spread from Manhattan to the boroughs. This is all terrible news for my crow. If he had any integrity, he’d cannibalize and eat crow. Of course, neither crows nor trolls ever have integrity. However, for those who would like to become first-time home buyers someday, this is news to crow about. How you look at it depends on where you’re standing. Someone might even be able to become a first-time home buyer in Manhattan in a couple of years if the Fed doesn’t quickly spin on its heels and reverse its Great Recovery Rewind, as it is already sounding ready to do. 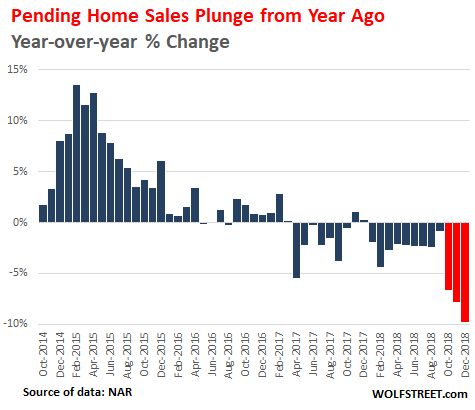 The US housing market took a dark turn … as homebuying fell off a cliff and mortgage lenders saw a steep decline in applications, originations,and profits. Interest rates are partly to blame for the slide in housing, but that’s only half of the equation, according to analysts. It’s too soon to panic, but a deeper drought in housing is bad news for just about everybody, not just the banks. Significant housing declines have foreshadowed nine of the 11 post-war US recessions, according to UBS…. The decline has been broad, affecting every region in the US. Looking forward: Pending sales are a forward-looking indicator. Due to the lag of a month or two between a pending contract and closing, the direction of movement in pending sales tells us where we’ll most likely be in final sales a month or two down the road. November’s pending sales told us that sales in January when all reporting is completed in February will likely be down to their lowest since May 2014. And December’s sales, which were way down in November’s pending report, already came in worse way worse than November’s actuals, falling a whopping 2.2% from where they were in an already bad November. So, we can expect January’s to do no better once all reports are in. 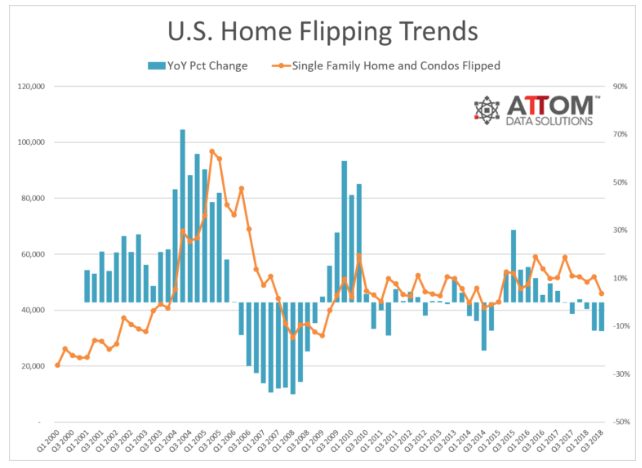 Pending sales strongly indicate that Housing Market Crash 2.0 is still fully on track for 2019. Moreover, year-on-year declines have been worsening each month since the start of October even though interest rates improved in November. That, to me, supports my view that the Fed has already gone too far to stop the damage, even if it quits tightening altogether.On a longer-term perspective, consider the demographics: School-debt-ridden, under-employed millennials, who are more into buying experiences in life than things, are not inclined to buy homes that are in the housing-bubble price zone. Neither are baby-boomers looking to retire, which often involves downsizing. None of this bothers me because my wife and I have the best of all worlds – very low fixed interest, a home we bought at the bottom of the market last time around, a chance to sell now high or stay and keep reaping the rewards of living in a beautiful place. I benefited from the last crash. I hope others are able to reap the same reward by turning the next bottom into their blessing. It’s all about seeing clearly what is coming so you can sell high and buy low. It is what can happen to those who see reality clearly and don’t live in economic denial like my crow who could only see what he wanted to see in praise of his choice for president. My lone crow on a wire, who scoffed at a good call because he didn’t like it, now looks like the fool I warned last summer he would prove to be. He has fallen off the wire because he hasn’t a leg left to stand on. All reports everywhere have come in against consistently month after month for over half a year. Sales of detached properties in July decreased 32.9% from a year before, and apartments dropped 26.5%. In fact, July’s sales were 29.3% below the 10-year average for July. Much of the plunge was attributed to Vancouver’s new law aimed at shutting out absentee Asian buyers that were ramming up housing prices while leaving the homes abandoned to become derelict in high-end neighborhoods. So, the decline is, in large part, intentional; but, if declining sales bring down prices, the dangers of falling prices to people who find themselves underwater and to their banks remain just as high. January 2019: The B.C. Real Estate Association claimed the huge drop in British Columbia housing sales was due to mortgage stress testing. In spite of the plunge, prices are holding in the province, though no longer rising since last spring. Inventory is building to a level that will probably force prices down by or before summer. Australia is faring even worse. Melbourne housing prices have plummeted at their fastest quarterly pace ever recorded! 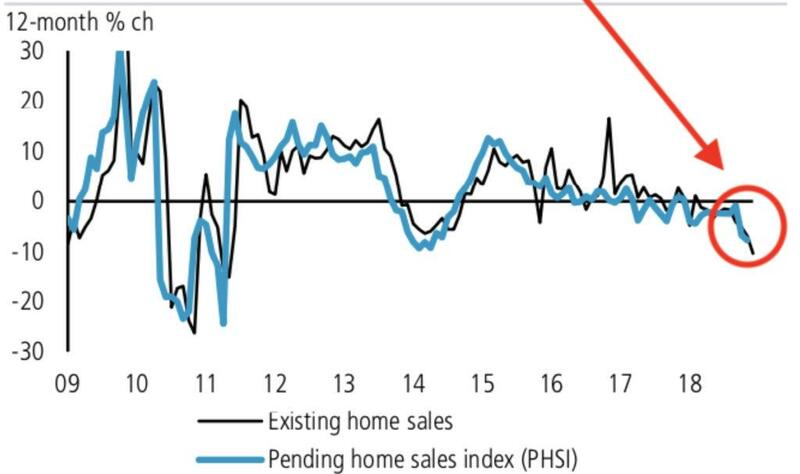 Less than two months ago, Australian housing regulators were warned to prepare “contingency plans for a severe collapse in the housing market” that could lead to a “crisis situation.” The Australian market peaked back in October 2017. It’s been downhill ever since with momentum now hitting break-neck speed. Sidney prices are down 12% from their peak. Experts have been left stunned after Aussie house prices plunged at “the fastest rate of decline ever seen”. And there’s more pain to come…. “We have seen the downturn accelerate over the last three months. At 4 per cent down in Melbourne that’s the fastest rate of decline we’ve ever seen of any rolling three-month period, and Sydney is virtually (the fastest outside) a really brief period in the ’80s.” Sydney’s total decline is now the worst since [CoreLogic] began collecting records in 1980… One analyst has even tipped falls of up to 30 per cent, based on the revelation from the banking royal commission that almost all mortgages written between 2012 and 2016 … over-assess borrowing capacity. Even the world’s hottest housing market is in decline. In stock market terms, one could say it has “entered a correction.” After its longest streak of falling values since 2016, the price of existing homes is down almost 10% from their August peak. This is actually seen by many, including some Chinese government officials, as relief to a market that had long run too hot. The article above would have been one of my Premium Posts. Such articles are long to readbut are intended to present the most comprehensive overviews you’ll find anywhere. I chose to make this one available to all for two reasons: 1) to show the depth and breadth of Premium Post articles so readers can assess what they are like; and 2) because it concludes an argument made last summer over a prediction made almost two years ago for last summer. This entry was posted in Housing Market and tagged housing market on February 13, 2019 by Bone Fish.